In 2016 President Donal O’ Sullivan was awarded Top 100 Corporate Social Responsible people for the New York City and State. We are proactive in ensuring we are socially responsible especially to the communities that have provided Navillus with opportunities of growth. Supporting communities through giving has been the cornerstone of our company. We are conscience in our decision making process because of this and each year ensure we take on or promote were possible organizations in communities. This has influenced our culture here at Navillus and we believe in not only the giving of capital but of resources, time, talent and expertise where possible. Hurricane Irma hit Florida as a Category 4 storm on the morning of September 10th, 2017 ripping off roofs, flooding coastal cities, and knocking out power for more than 6.8 million people. The Florida Keys were hit especially hard, with massive storm surges, flooding, and significant damage to homes, businesses, and local infrastructure. Hurricane Irma and its aftermath are responsible for the deaths of at least 38 people in the Caribbean and another 31 in Florida, Georgia, and South Carolina. Officials estimate that 25 percent of the homes in the Florida Keys were destroyed and 90 percent of the homes were damaged due to the storm. 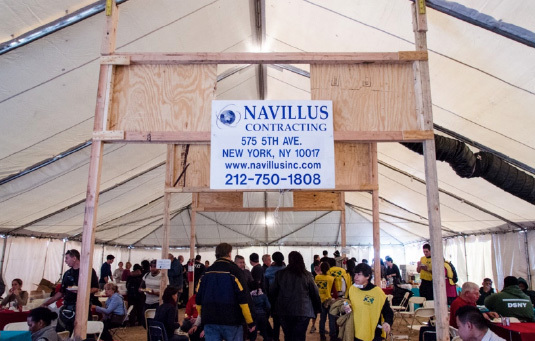 Navillus quickly set up private relief tents and a donation center. We took part in leading the efforts in providing hot meals, fresh water, and other home essentials to those affected by Irma. 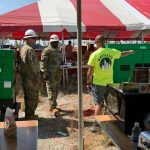 Additionally, we provided emergency supplies, assisted with home remediation/rebuilding, and personal communication and technology resources. As a team, we flew groups of 10 people at a time from our New York City based office to the Florida Keys in order to service the relief tent. 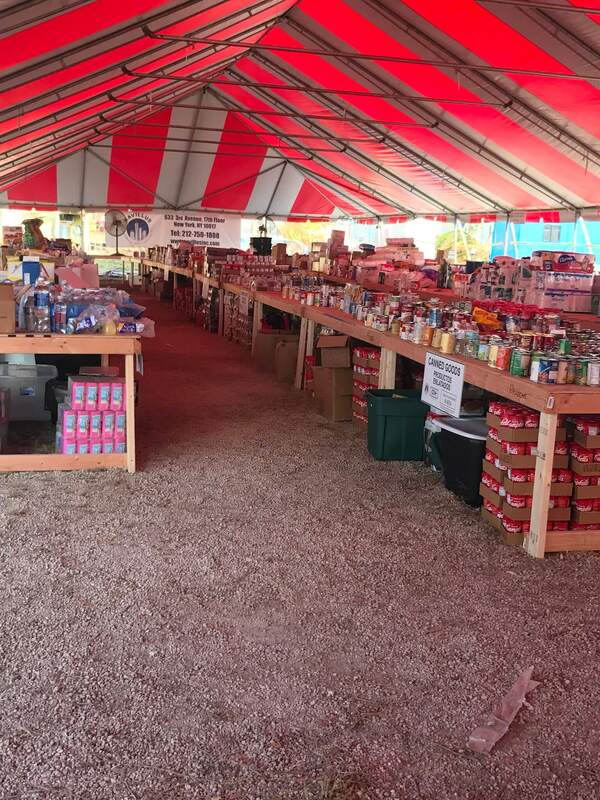 Our employees were on a rotating schedule for several weeks as the relief tent stayed open for the residents affected by the storm to continue receiving the help and donations they so desperately needed. 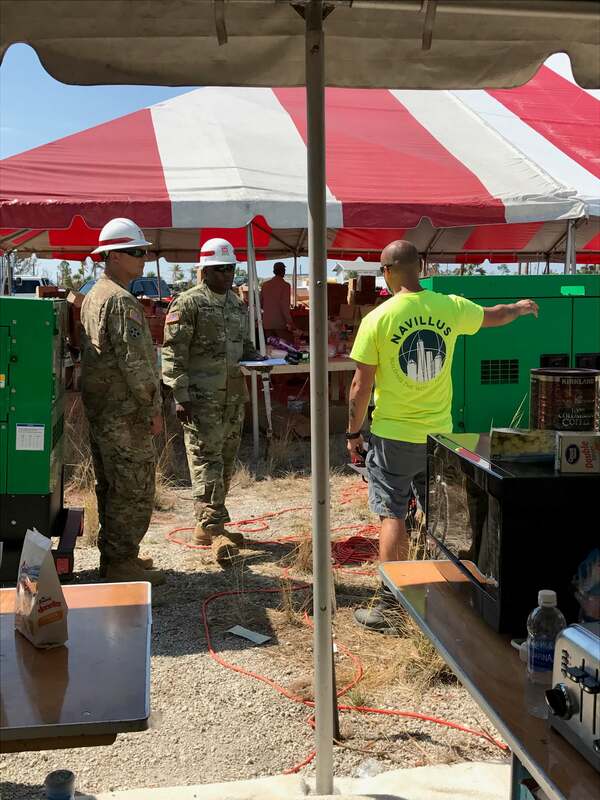 “Navillus is proud to lend support to the people of Florida in a time of severe crisis,” said Donal O’Sullivan, owner and president of Navillus Contracting. Hurricane Sandy left a trail of devastation and debris across the entire Eastern Seaboard, causing more than $75B in damage. Only Katrina, the 2005 mega-storm that leveled New Orleans, caused more destruction. No New York resident could argue the about Sandy’s violence, particularly those in the Rockaway area. Residents returned to the former resort area after the eleven-foot storm surge receded to find thousands of tons of sand and storm debris covering the streets and spilling out of broken windows and doors. Homes, businesses, and popular gathering spots were gutted by powerful waves, burned by fires that broke out near ruptured gas lines, and buried in sand brought by the floods. 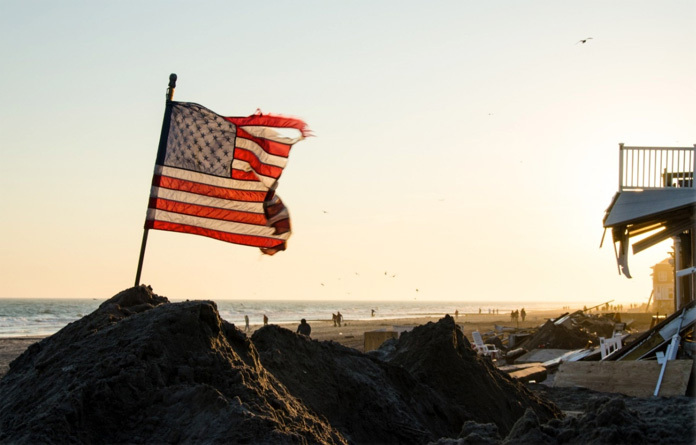 The philosophy behind Navillus has always been based around leadership, trust and teamwork and since the devastating destruction of hurricane Sandy our work has not stopped. 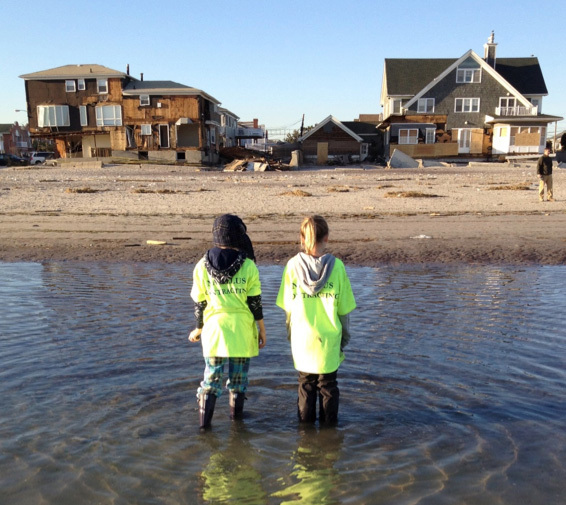 Each year we make a donation to an area affected by Sandy in an aim to ensure educational and purposeful advantage is assured. In 2016, Navillus donated 40 Google chrome laptops and two wireless printers to the St. Camillus schools in Rockaway. We felt truly honored to give back to this community and moreover nourish the minds of our future leaders. The Haven Community Foundation was set up in response to the desperate plight of the people in Haiti, where, following the devastating earthquake on January 12, 2010, over 230,000 lives were taken and over 1.2 million people were made homeless. Haven is principally engaged in bringing aid to the people of Haiti in the form of shelter, water, sanitation, training, and other humanitarian assistance. Partnerships were formed with leading international NGO’s to provide emergency relief in areas most affected by the natural disaster. During Haven’s first three years in operation on the ground in Haiti, the charity became one of the leading aid organizations in Haiti. ‘Build it Week’ is Haven’s volunteer program, which sees the organization bring large groups of volunteers to Haiti to work on its rural building projects. 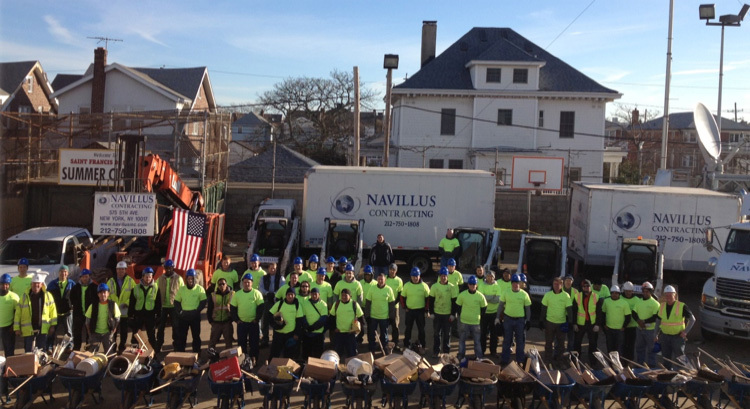 Navillus employees and family members got involved in the rebuilding of the homes and lives of others less fortunate than themselves. In order to make the trips possible, Navillus to date have raised over $100,000 to cover the costs of the volunteer’s travel expenses. “Being a volunteer in a project of such magnitude puts everything in perspective and we are all reminded once more to be grateful for all that we have” Donal O’Sullivan, President of Navillus Contracting. 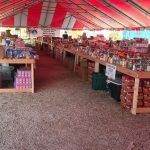 We participate in and sponsor a variety of Organizations, Associations and programs at a local level from habitat for humanity projects to cultural & heritage development to annual fund raising charity events all in an effort to give back and to support and help the young and the old in our local. 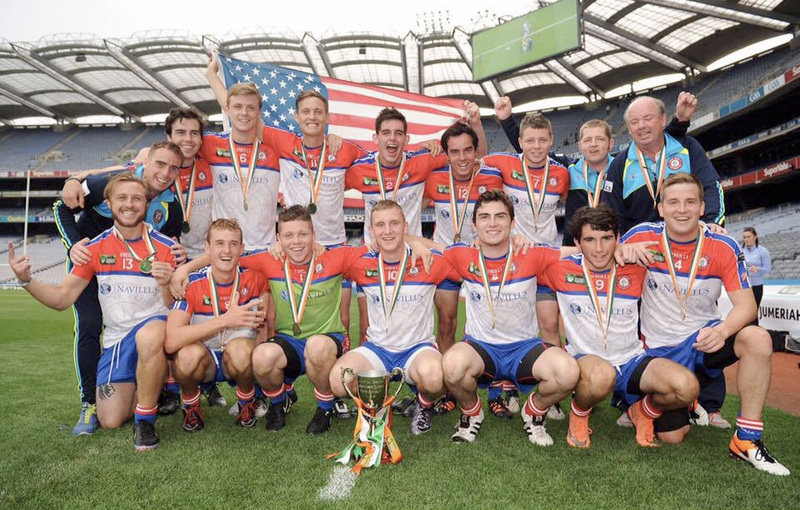 As proud supporters of all genres of sport Navillus are proud of their heritage, thus we aim to help as best we can to support Irish related clubs in New York. Along with this we also support non-profit clubs in New York City such as YMCA, which aim to bring about social change and empowerment amongst youths communities throughout the city.